Offering fruit and nuts is a good way to attract species that do not normally visit seed feeders. Raisins and currents: Soak overnight and offer on a platform feeder or shallow dish. Strawberries, cherries, blueberries and grapes: Cut in half and offer on a platform feeder or shallow dish. Apples: Offer sliced or chopped apples on a platform feeder or shallow dish. Orange and grapefruit: Slice in half and nail to the side of a tree or offer on a platform. Watermelon: There is usually a little meat on a watermelon rind or un-eaten portion. Placed in a good location it attacks a few bugs, also butterflies, mockingbirds and cardinals. Last year a Red-bellied Woodpecker that seemed to have a taste for watermelon would visit fairly often. Grape jelly: Popular with orioles. 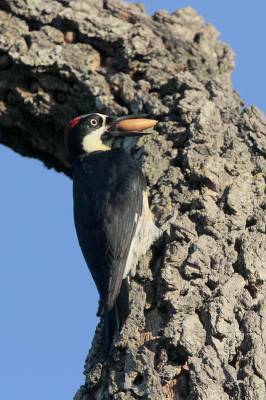 Peanuts are popular with woodpeckers and nuthatches. 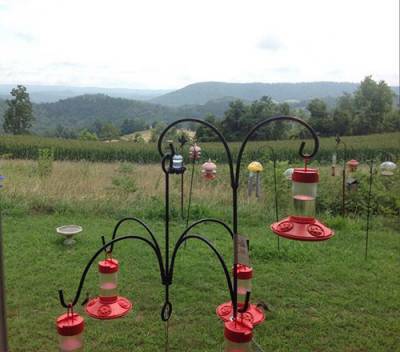 Shelled raw peanuts can be offered in feeders designed for feeding peanuts. 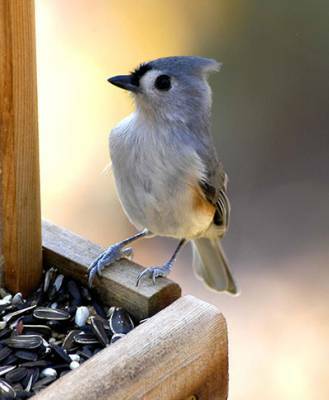 Offer peanuts in the shell on a platform feeder or on the ground. Peanut butter also works for the above species plus native sparrows and Pine Siskins. Offer straight or mix the peanut butter with 3-4 parts corn mill. 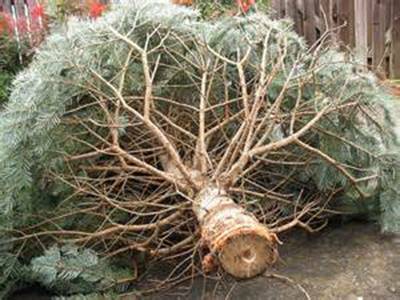 Spread the mixture on a tree trunk, place in spaces in a pine cone, or fill holes drilled in a board or dead limb. 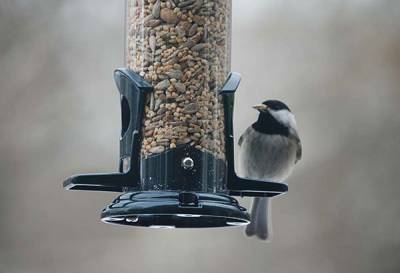 One reason we feed wild birds around our homes is that we presume they appreciate a little help from their human friends. Another reason is that we simply enjoy having them around us. We like watching their antics, seeing their colors, and listening to them. 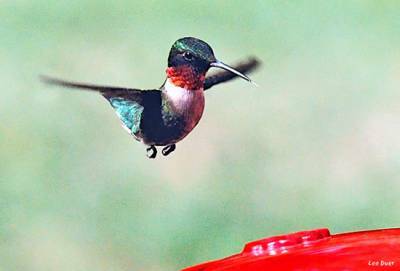 Each bird species is capable of making a variety of sounds that it uses to communicate with other birds. These sounds are songs, which usually are long and complex, and calls, which usually are short and simple. 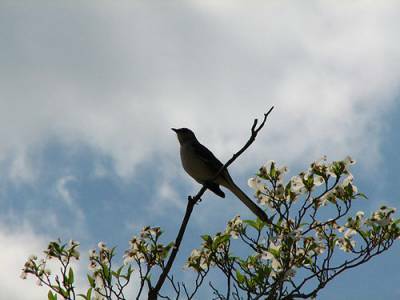 By encouraging birds to visit our yards, we are more likely to hear most of their vocalizations. 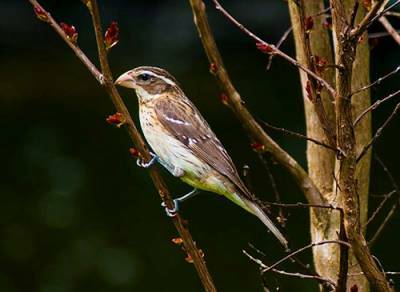 Songbirds account for nearly 60% of the world’s 9,500+ species and almost 40% of the more than 900 species found in North America. 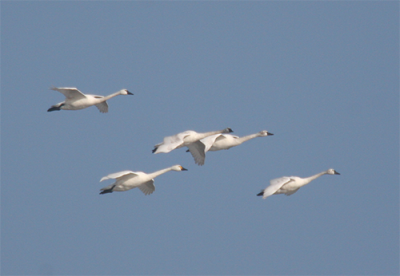 For the most part, only the males “sing” – a consistently repeated pattern of tones. The females of a few species, including Northern Cardinals, Baltimore Orioles and Rose-breasted Grosbeaks, also occasionally break into song. The songs of birds are learned, not inherited. 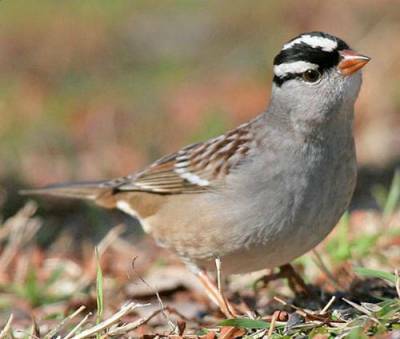 If a White-crowned Sparrow grew up with only Song Sparrows around, it would learn Song Sparrow songs. 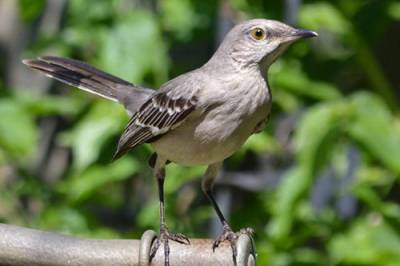 Fledgling birds first develop a “sub-song” that matures into an adult primary song in about a year. 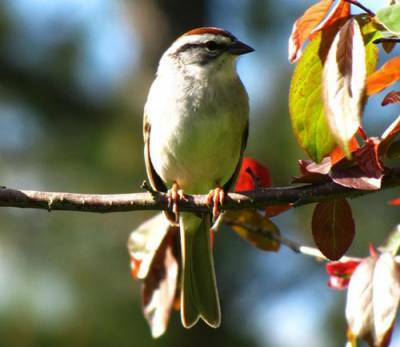 Although Chipping Sparrows have only one basic song, Song Sparrows may have 10, some wrens may have more than 100, and – as many of you well know – Mockingbirds seem to have a repertoire of a couple hundred songs that are voiced endlessly! 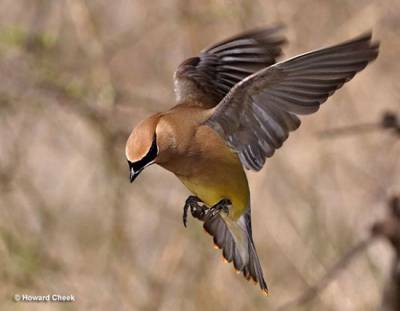 In Part 2: We learn more about how, where and why birds sing. 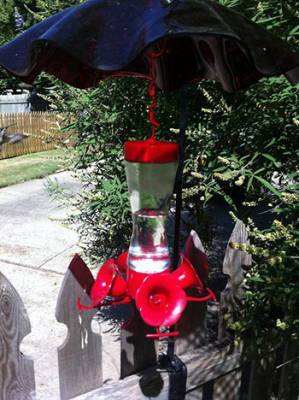 One of the easiest and most satisfying ways to get started is with a hummingbird feeder. 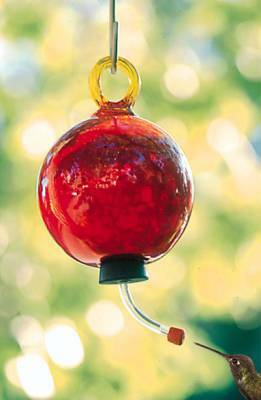 A popular way to hang a hummingbird feeder is from a simple hook from the eave in front of a window. 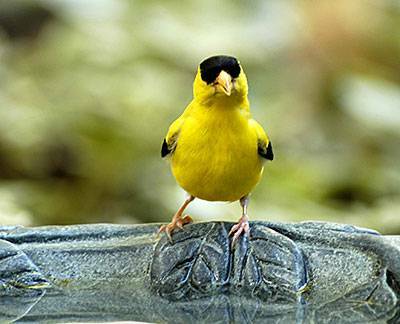 Birdbaths are great for attracting birds that do not visit bird feeders. 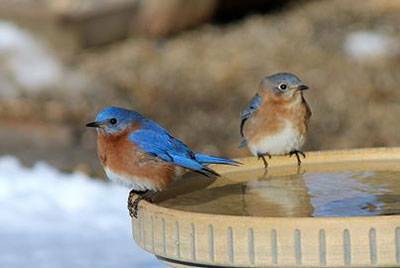 To attract and enjoy birds all year long, consider buying a heated birdbath. A popular type has the heating element completely enclosed in the birdbath itself. There are also separate birdbath heaters to place in your existing birdbath. 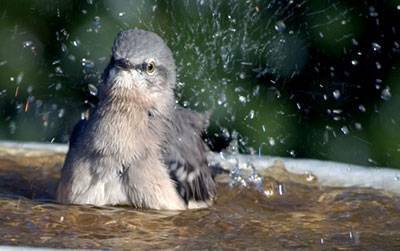 Birds want to bathe in the winter as much as in warmer months so your heated bath can be tremendously attractive to your birds. When cleaned, their feathers fluff more efficiently, creating important insulating layers of air between feathers and skin. Now’s the time to create a splash in your backyard! 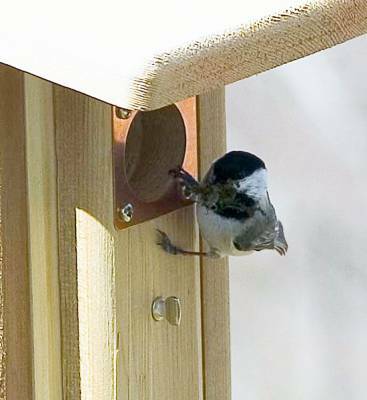 How soon your feeder is used also depends on the availability of natural food sources, the type seed used in your new feeder, and the habitat close to your feeder. Black-oil sunflower seeds usually attract the widest variety of birds. 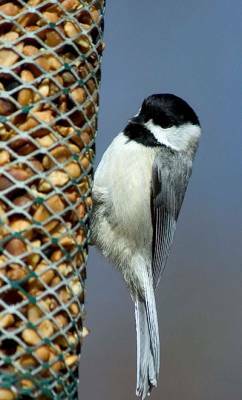 The addition of nutmeats, such as peanut kernels, will make the feeder more attractive to birds such as titmice, woodpeckers, Blue Jays, even wrens. 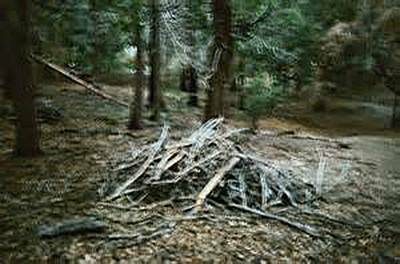 Make certain that the feeder is visible and not hidden by foliage or other obstructions. If you live in a newly developed neighborhood with few trees and shrubs, consider planting some plants near your feeder to provide natural cover. 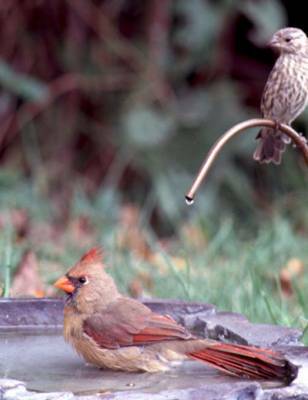 A bird bath or other water source will also make your feeding station more attractive to your birds. 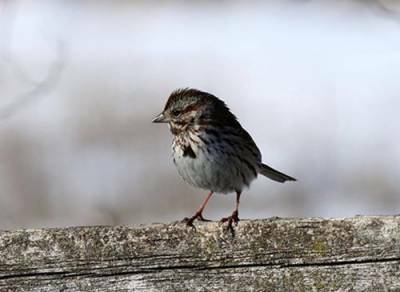 February can be one of the toughest winter months for birds as remaining wild seed and other food supplies continue to diminish. If you have feeders up its a good time to make sure they stay filled. 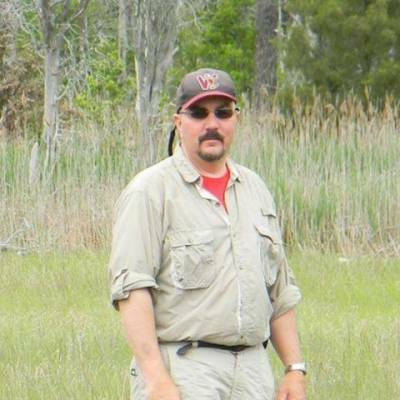 Here are a few comments from the National Bird-Feeding Society on perhaps why so many people enjoy feeding and watching birds. 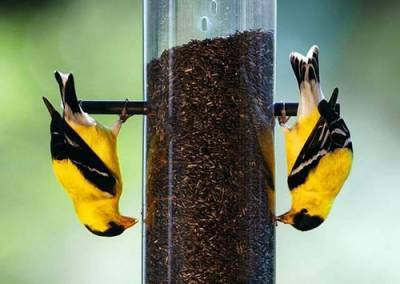 Keep the peace - Avoid overcrowding by putting feeders at different heights to resemble birds' natural feeding environment. Serve sparrows, juncos and mourning doves from a tray elevated just above the ground. 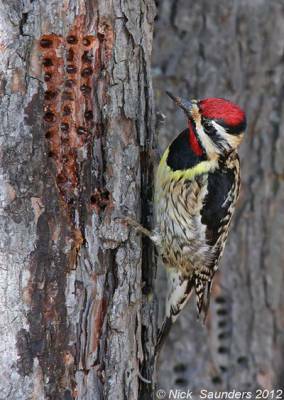 Woodpeckers, titmice, nuthatches, chickadees, finches and redpolls, accustomed to eating among trees in the wild, prefer feeders four to six feet off the ground. 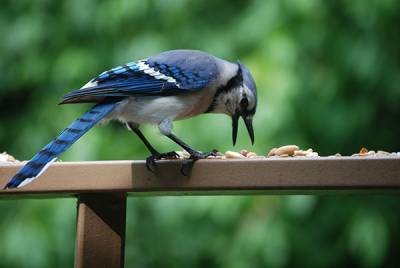 Jays and cardinals like surfaces large enough to stand on while they eat. 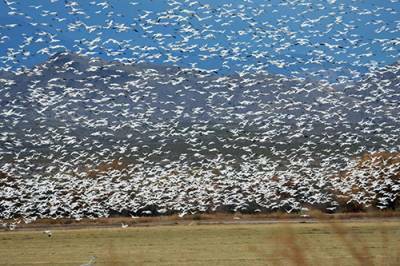 Written years ago by Birding Master Scott Edwards – but perfectly relevant today! 1) In bird feeding, as in many things, there are three keys to reaching higher planes of satisfaction: location, location and location. 2) After location, the next step to bird-feeding nirvana is to feed the birds not only what they wish to eat, but also where they wish to eat it. 3) Once location and food have been thoughtfully chosen, one adds what may be the most difficult ingredient of all…patience! 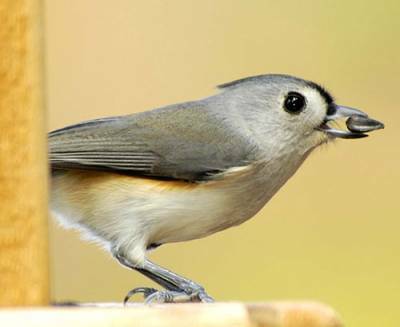 4) Thou shall only put preferred seeds in your bird feeders. 5) Thou shalt not fight with the squirrels. If you feed the birds, you feed the squirrels...just do so on your terms, not theirs! 6) If you want to make your new feeder even more attractive to our feathered friends, fill it with bird ambrosia…..sunflower chips! 7) Never fail to provide the elixir of life…..water! 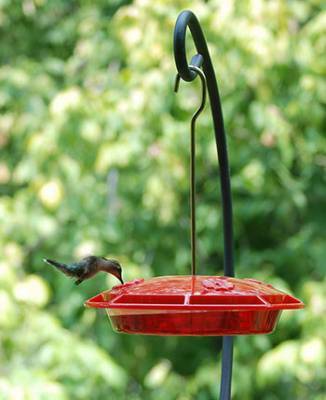 8) The true path to bird-feeding bliss is paved with simplicity. When in doubt, trust black-oil sunflower seed. 9) Thou shalt offer suet to our woodpecker friends, all year long to ensure that their children, too, shall come to know your yard as a place of peace and food! 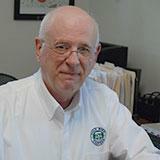 Thank you, Zen Master Edwards! Is it a “Sharpie” or a ”Coop”? 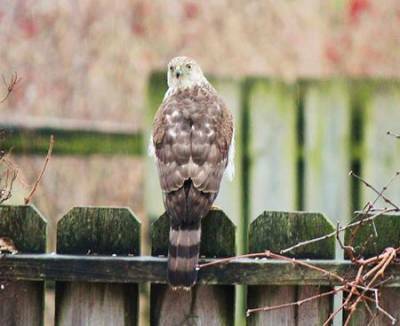 Both Cooper’s Hawks and Sharp-shinned Hawks are found throughout most of North America and often visit our yards in search of a warm meal. Both species are frustratingly similar in appearance. Both birds have slate-grey backs and barred rust-colored chests with long banded tails and relatively short rounded wings. The major discernible difference between them is size. A “Sharpie” is a little larger than a robin; a “Coop” is about the size of a crow. 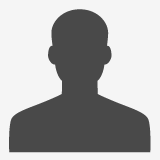 To further complicate matters, in each species the female is notably larger than the male. 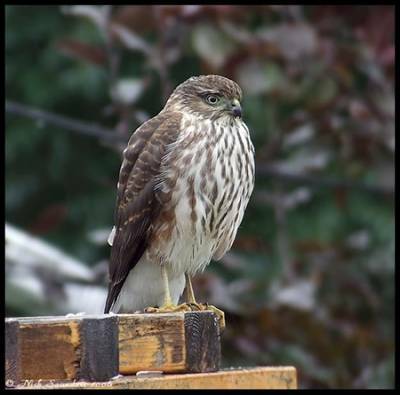 Thus, a female Sharp-shinned Hawk can be as nearly as large as a small male Cooper’s Hawk. The most reliable field mark may be the tail, which is rounder in the Cooper’s (think “oo” as in Cooper) and squared off (think “s” for Sharp-shinned and squared). Eye placement may also help – eyes appear more forward in the “Coop” than in the “Sharpie”.